Amazon.com Price: $155.00 (as of 20/04/2019 23:25 PST- Details)	& FREE Shipping. 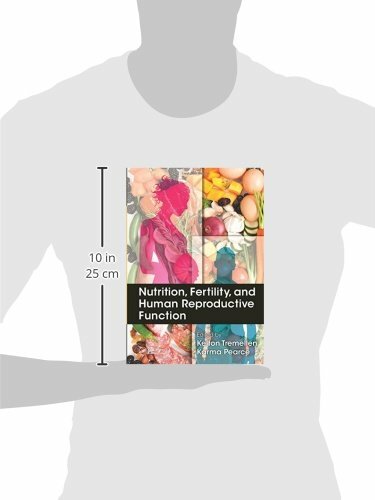 Taking a holistic or “whole-of-life” approach, the book reviews the role of nutrition in human fertility and explores its effect on male and female reproductive physiology. Problem-orientated topics are arranged in chapters that each cover a specific clinical topic of interest, allowing easy reference by the practicing clinician. 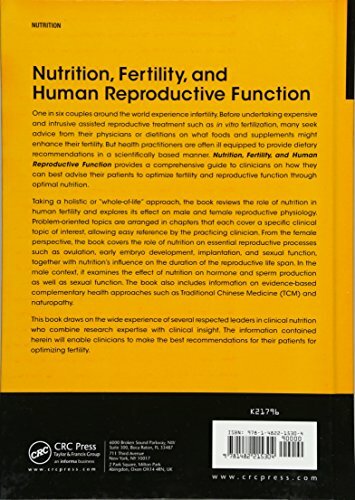 From the female perspective, the book covers the role of nutrition on essential reproductive processes such as ovulation, early embryo development, implantation, and sexual function, together with nutrition’s influence on the duration of the reproductive life span. 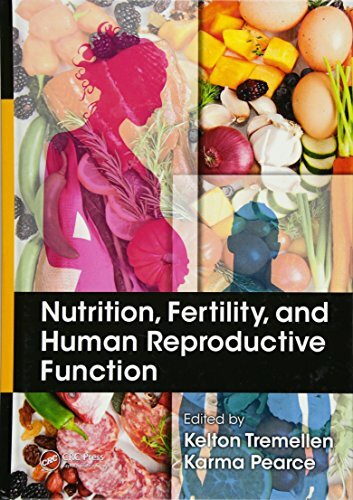 In the male context, it examines the effect of nutrition on hormone and sperm production as well as sexual function. The book also includes information on evidence-based complementary health approaches such as Traditional Chinese Medicine (TCM) and naturopathy.